Home / digital cloud / future technology / global digital society / Internet of Things / IoT technology / latest technology trends / modern lifestyle / quantum computing / technological advances / technology / The Real World Applications of the Internet of Things | What is the Future of IoT Technology? The Real World Applications of the Internet of Things | What is the Future of IoT Technology? 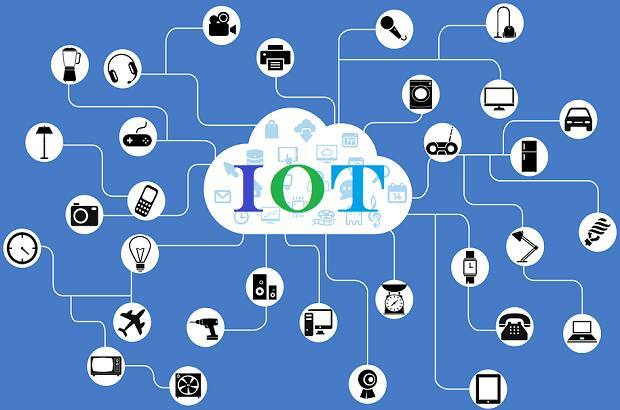 Internet of Things (IoT) is a system of interrelated computing devices, and a modern digital technology that aims at attracting objects, sensors, and connecting them to the Internet to communicate data without human interference and perform specific functions through the network. IoT technology is a sophisticated concept of the Internet so that all things in our lives have access to the Internet. IoT technology is applied in several key areas such as health services, retail, industry, transport, public utilities, and telecommunications. The Real World Applications of the Internet of Things - What is the Future of IoT Technology? The world seems to have become fantastically insane. From smart gadgets to smart homes and cities, we have now managed to integrate everything around us into the smart devices that control everything for us such as shutting down the oven remotely or closing the door rather than going home. After the invention of the Internet, the world has become a small village as the internet has made it easy to move around in less time and effort. A few years ago, when we saw the real potential of the Internet, the concept of wireless internet became more widespread, integrated sensors were very evolving, and people began to understand the technology that can be both personal and professional. It is now possible to attract things to connect to the Internet automatically by using an interrelated computing device -“Internet of Things” without the need for human intervention. The term “Internet of Things or IoT” remains vague to many who hear it, but not after reading this article. Internet of Things (IoT) is a system of interrelated computing devices, and a modern digital technique that aims at attracting objects, sensors, and connecting them to the Internet to communicate data without human interference. This is done automatically if something is found in the geographical area covered by the Internet. The concept of "Internet of Things" includes everyday things, from industrial machines to wearable devices, where integrated sensors are used to collect data. Data is taken over the Internet and, accordingly, sensors are used automatically to control heating and lighting, or alert maintenance personnel with production equipment in cases of emergency failure. Simply, the Internet of Things is the future of technology that can make our lives more effective. I: Intelligent transport solutions to accelerate the flow of traffic, leading to fuel consumption, prioritizing the repair of vehicles and save lives. II: Smart electricity networks are more efficient in connecting renewable resources, improving the reliability of the system and obliging customers to consume less. III: Diagnostic and predictive monitoring sensors, waiting for maintenance problems and short-term inventory situations, as well as scheduling maintenance crews to repair equipment and meet regional needs. IV: Building data-based networks in Smart Cities infrastructure, making them easier for municipalities to manage data and law enforcement and other programs more efficiently. V: When there is no milk in your refrigerator and while returning from work you will receive a reminder from your refrigerator that you should go to the store and buy it. VI: Your home security system, which already lets you remotely control the locks, the home heat system, as well as can cool or heat the house and open windows, as you like. IoT technology allows you to reassure that your child is safe and healthy as aims to help parents in developing countries, providing instant information about the child's breathing, temperature, location and level of activity on smartphones. You can also track your activity level, using a combination of sensors and connection options, where you'll have a highly efficient Internet device in your pocket that can automatically monitor your movements, location, and workout throughout the day. In addition to monitoring an elderly family member, using the mobile alarm button and other separate wireless sensors scattered throughout the house. It can also remind you to take your medicines, where there is a glowcap that lights up, Emile sends you the names of bottles of medicine suitable for you, and provides by wireless chips services to describe a diet to help sick people. How many times have you come out of the house and promised again to make sure that the oven is closed? Or have you stayed all day worrying about burning your house because of the oven? Smart ports, such as WIMO, enable and disable any connected device from around the world or even from your living room simply! It also contributes to keeping the streets clean. The cellular communications enable the smart waste bin to use data in real time and collect alerts to allow municipal services to know when to empty the baskets, and this information can significantly reduce the number of trucks required for local services. One of the most important things for most of us is missing keychain tracking, where you can easily track lost keys or cell phone in your home using Bluetooth, and other wireless technology devices such as Cobra Marking, instead of searching everywhere and late for your appointments! Using a device such as a ninja block device and host sensors you can track whether the water pipe has exploded in your basement, or if there is movement inside your home when you are away, it sends a notification automatically by e-mail, or Text message if something happens. It also allows you to keep your plants alive, either by taking care of small crops or large back garden, with the help of a set of systems, and sensors. Internet communication helps you save time and resources by keeping the plants growing on the basis of their actual needs. Telecommunications: It is worth mentioning that the telecommunications sector is the most affected and connected to the Internet of Things; It will play an effective and significant role in keeping all the data in this regard. Internet of Things requires all smart devices of all types, whether computers or smartphones must maintain a reliable connection with the Internet of Things to ensure the continuity of business with high efficiency. Health care: Health care is one of the biggest areas in which the Internet of Things can be applied. Patients can be monitored remotely and recorded in electronic records. They can also be activated in wearable devices to control exercise, sleep, and other health habits. It can contribute to saving many lives when reporting a prior risk to the patient's health to death. Retail: In this context, the beneficiary of the Internet of Things is considered to be both the consumer and the merchant. The trader monitors the goods available to him in the store and the sales and purchases. The consumer is supplied with the latest goods of interest to the stores he is used to. Factories and companies: The industrial sector is an area that has the potential to integrate IoT in its dimensions. This may involve attracting the data of the machines in the factory parts, the materials and the equipment accumulated on the shelves in the warehouses. The role of the Internet of Things is to track the available resources in terms of their accessibility and problems and so on. This ensures the efficient performance of the business and the saving of costs that could have been spent on the risks. The emergence of many technologies and the transition to digital devices which support processes, communications and analysis, and decision making in each part, will not change the primary purpose of production systems. However, they will transform the way they were built and run. The Internet will be improved in four key areas: connectivity, speed, access, and empowerment. The Internet of Things security will not change much. Humans will still be human beings who make mistakes. Quantum computers will eventually be able to break the code in parts of milliseconds, but quantitative encryption will allow for new ways to ensure data transfer. The last thing that is really important to talk about and that is bigger than the Internet of things but it relates to it, the economic impact of the Internet 50 years later, the Internet will basically make everything more efficient. After a few years, everything may become quite smart as science fiction movies, and this is not far off and not imaginative ... but only the magnificence of the technology that will make science fiction movies a reality!.